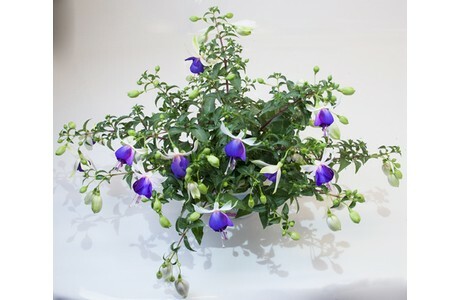 "The market for fuchsias is stable, but there is room for growth"
"The market for fuchsias is stable, but there is room for growth", says Jürgen von den Driesch of Brandkamp. "I am sure that with good half trailing and trailing varieties, the number of trailing varieties on the market can grow, without the upright segment losing market share." 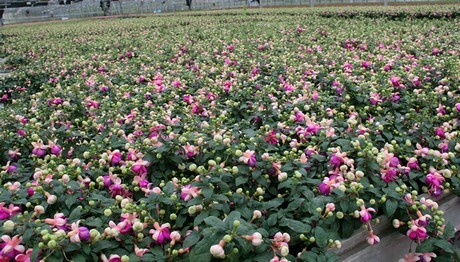 With this in mind, this German breeding company decided to expand their Jollies Fuchsia Line with new trailing types. At the IPM Essen, that will be held next week, these new trailing varieties will be on display. Besides, also their cut and pot chrysanthemums will be presented. 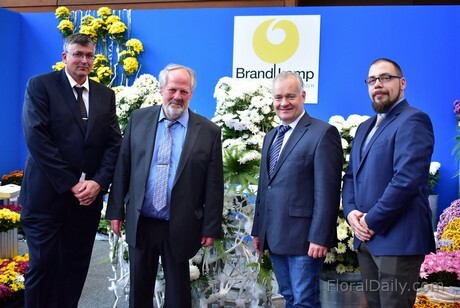 The team of Brandkamp at the IFTF 2018 in Vijfhuizen. From left to right: Andre Elijzen, Jürgen von den Driesch, Hubert Brandkamp and Lars van de Water. The fuchsia is a well-known and popular plant to grow. Breeders are constantly working on improving the habits of the fuchsia varieties. Brandkamp also spent many years on improving their range of normal fuchsias. When achieving their major requirements in fuchsia breeding - like enabling the plant to bloom all summer long - several years ago, the Jollies Fuchsia Line was born. Over the last years, they are focusing on completing this line step by step in every segment. Now, Brandkamp is ready to show their new trailing Fuchsia varieties from their Jollies line. This German breeder is already well-known for their trailing fuchsias; Around 25 percent of the complete market for Fuchsia cuttings in North Europe are trailing varieties and also around 25 percent of Brandkamp's total fuchsia cutting sales are trailing varieties. "So, we are responsible for a large part of the cuttings that are purchased by the growers and improvements are therefore of great importance." The new trailing varieties in the Jollies line are therefore expected to be welcomed warmly by the growers. "With every Jollies variety we substitute an older variety and improve the assortment this way." 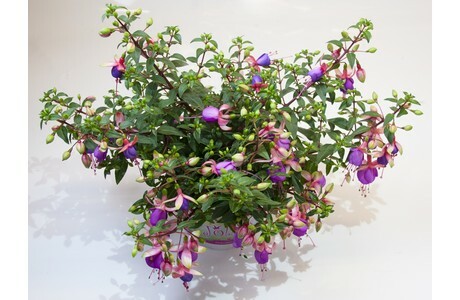 So, with these improvements, Von den Driesch has high hopes for the future of fuchsias. "The market for fuchsias is stable, but there is room for growth. I am sure that with good half trailing and trailing varieties, the number of trailing varieties on the market can grow, without the upright segment losing market share." 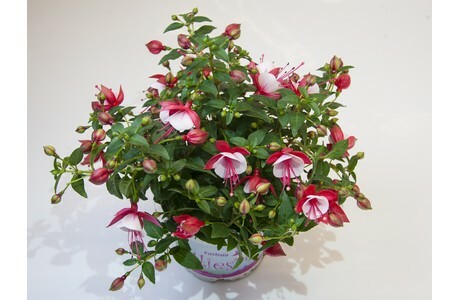 Trailing fuchsia varieties are popular in Central and Northern Europe, explains Von den Driesch. "Around 25 percent of the market of Fuchsia cuttings are trailing varieties - in the South it is less, no more than 10 percent." At the IPM Essen, that will be held from January 22-25 in Essen, Germany, the new trialing Jollies Fuchsia varieties of Brandkamp will be on display. But more will be presented by the company. “We are sure that we can show and offer the many visitors from countries all over the world interesting news, and we're happy to meet them there", says Mr Hubert Brandkamp, the owner of the company. The Brandkamp stand will be located again in the middle of Hall 2, in the usual place (Booth 2C31). And more than Fuchsias will be on display; a complete overview of Brandkamp's portfolio. 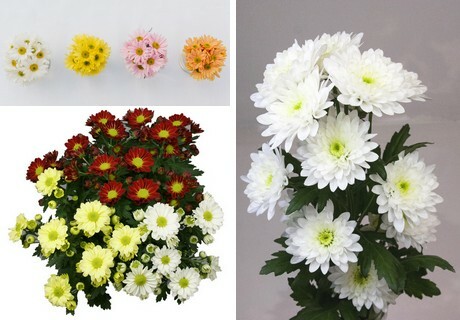 By the assortment of Chrysanthemums they are displaying the cut varieties from the Colombo series and the brand new, filled flowered Lhasa as well with their very good winter performance. "The same will work for the pot series Pemba." Kibo and Bransmart Mix (White, Purple, Orange). And "the salt in the soup“ smiled Hubert Brandkamp, will be presented as well. 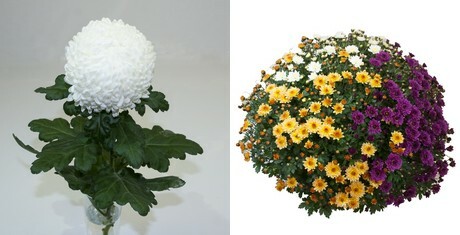 "We use this big exhibition to come in contact with many growers to inform them about Kibo for example - the new snow-white disbud cut Chrysanthemum, about the Bransmart series - the new October flowering Multiflora family with a perfect shape and perfect for mixes (important for south of Europe). "We're so lucky that we can offer them now after years of intense breeding.“ finalised Jürgen von den Driesch the feeling by Brandkamp. More on display? "Yes, but I will not tell it right now because then, there won't be any surprise", says Hubert Brandkamp. “So one reason more to visit us."